Big business has too much power. A third of them aren’t paying any tax, our government is giving them tax cuts and they are in a race to the bottom of wages and job security. 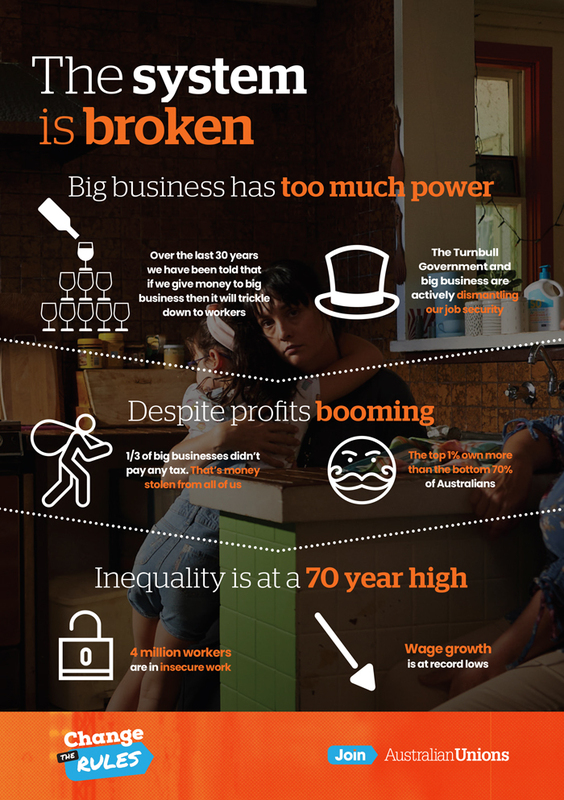 40% of Australians are in insecure work and wages have flatlined. We need a wage rise and secure work. We need to change the rules to give all working people the basic rights they need to improve their living standards. Find out when the next rally is on in your area! The National Union of Students annual Education Conference will this year be held at Flinders University in South Australia from the 2nd-5th of July! 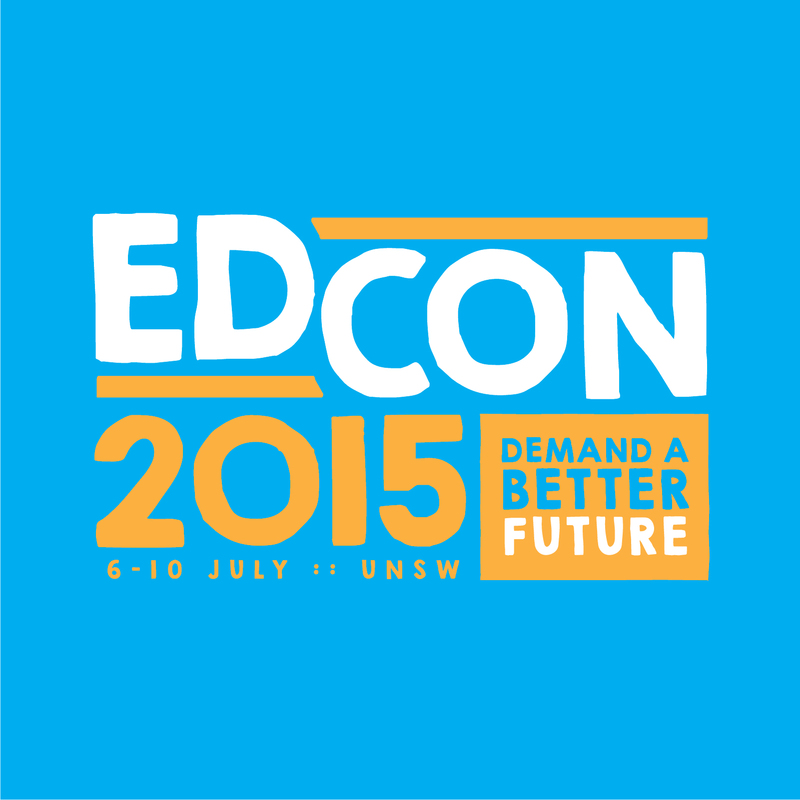 EdCon is an amazing experience for student representatives and activists to come together to attend workshops, hear from speakers and network to plan the best future for students. Similarly, the annual Network of Women Students Australia Conference (NOWSA) will also be held in July of this year! NOSWA is in its 31st year of running and is a week of women focused workshops and discussions about student safety, gender equality and eradicating discrimination on our campuses. This year’s conference will be held at one of the universities in New South Wales. More information about registration and speakers for both conferences will be made available in the coming weeks, so watch this space! Unfortunately due to the low response rate of the 2015 Student Wellbeing Survey, the results were insignificant for data comparison. In 2016, NUS decided to give it another shot and teamed up with Headspace to roll out and produce the National Tertiary Student Wellbeing Survey 2016. The 2016 Student Wellbeing survey was completed by thousands of students across the country to give an insight into the mental health and wellbeing of young people at university. With findings such as 70% of respondents rating their mental health as just poor or fair, the results of such an extensive and eye-opening survey unlike any other are crucial to highlight why there must be a response within the sector to support students properly and effectively in their studies. The NUS Women’s ‘Talk About It’ Report Has Been Launched! Today, the 2nd of February 2016 the NUS Women’s Department has released the results from the 2015 ‘Talk About It,’ survey, revealing a range of alarming statistics about the experiences of women studying at Australian Universities. 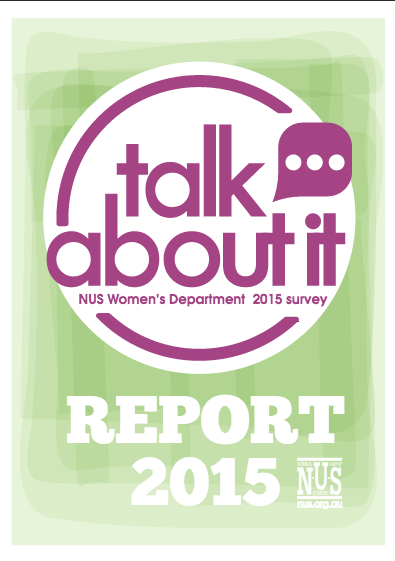 In 2015, the NUS Womens Department ran the ‘Talk About It’ survey, which collected information about the experiences of women university students in Australia. The survey looked at accommodation, safety, student services, sexual assault, harassment and economic difficulties that women enrolled in tertiary education institutions face. There are more students at universities than ever before however now more than ever students are facing tougher barriers for equity and support. The government today are announcing the shelving of one of their core polices, university fee deregulation and will not be pursuing the legislation for the next year. Students Stand Up For Penalty Rates! 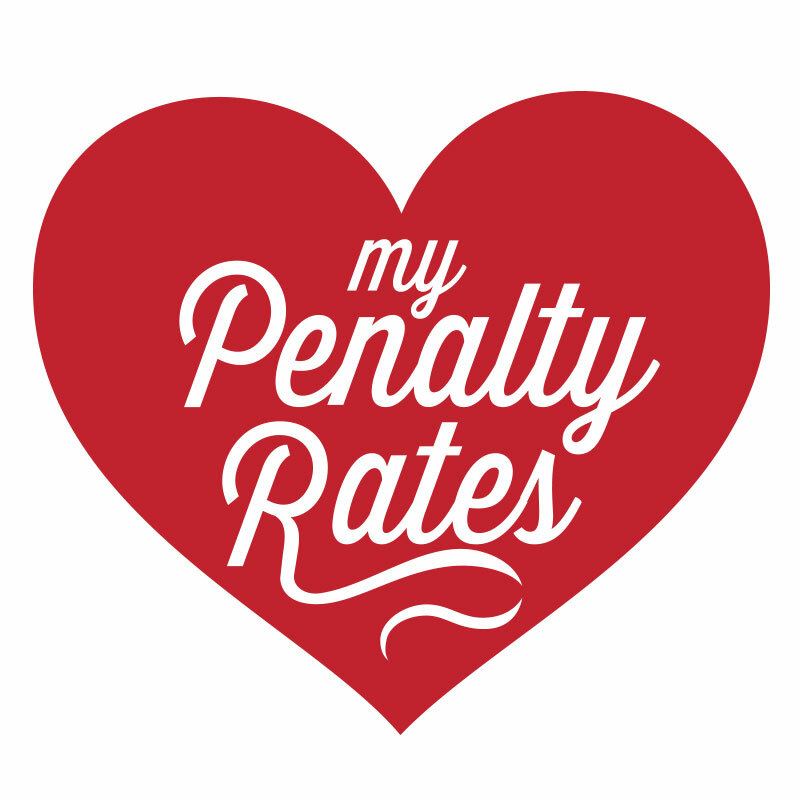 Currently the Fair Work Commission are looking into penalty rates as a part of the 4 yearly review into modern awards. Employers have been saying students don’t actually need penalty rates and that it is a lifestyle choice for students to use them. We know differently. We know that students rely on penalty rates just to get by and value their weekend just as anyone else does! Talk About It - Now Extended! The National ‘Talk About It Survey’ has now been extended to collect more responses from campuses across Australia! The ‘Talk About It’ survey aims to gather information about the experiences of women university students in Australia. It will look at accommodation, safety, services, sexual assault, harassment and economic difficulties that women enrolled in tertiary education institutions face. Please take the time to participate in this survey. This survey will be run every two years and your input will help to obtain a picture of the challenges and barriers that women students face. Data will be used by student organisations to inform discussion, policy and campaigns on a campus and national level. Take The NUS Student Wellbeing Survey! Today at Flinders University in Adelaide the NUS Welfare and Disabilities Departments launched the Student Wellbeing Survey. 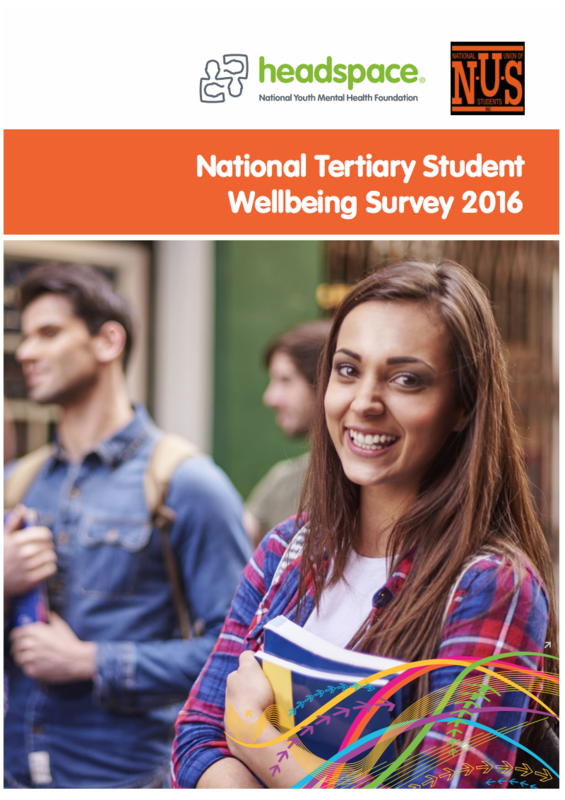 The Student Wellbeing Survey is the first nation wide survey in years to focus on student wellbeing, welfare and mental health. 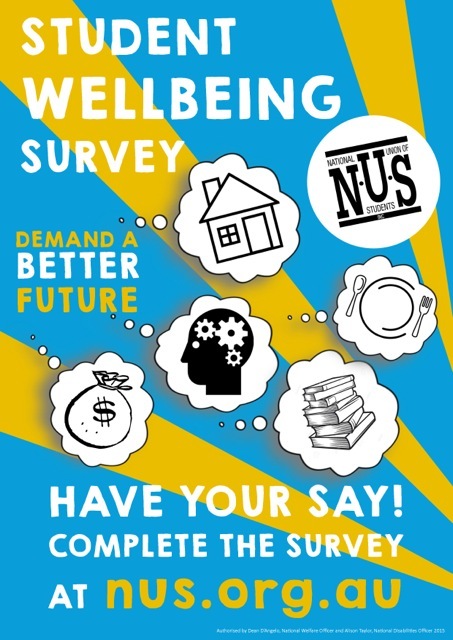 Run by students, for student, the NUS Student Wellbeing Survey aims to grab a snapshot of how students are doing in Australia and what their specific needs are. 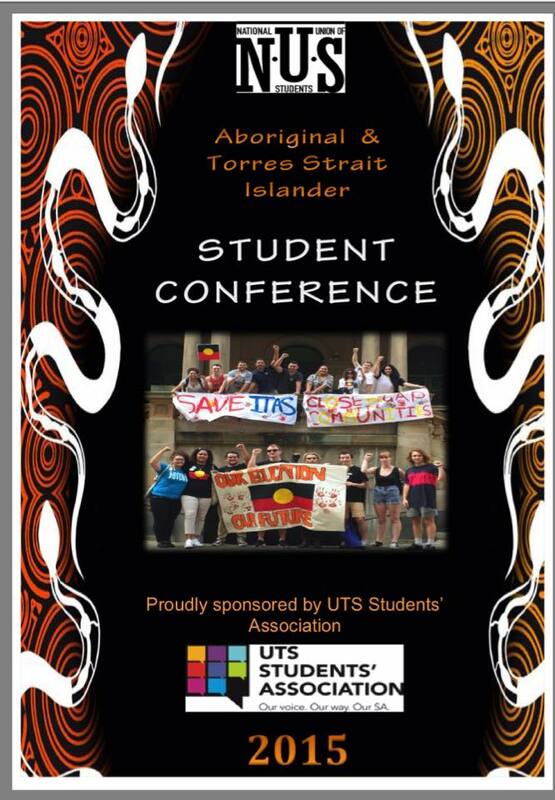 The NUS Aboriginal and Torres Strait Islander Student Conference, facilitated by the NUS ATSI Department, will be held from the 22nd-25th of July 2015 in Sydney. Conference will involve guest speakers, workshops on leadership, campaigning and policing writing, discussion groups and networking. The main aim will be to build our national education campaign based around the idea of ‘equal access, equal representation = equal education’ as well as Save ITAS and Sisters Can Speak campaign. 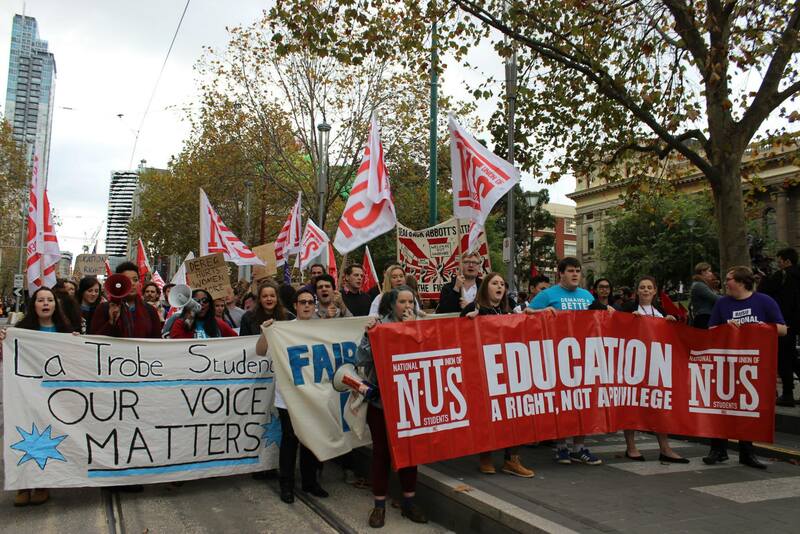 The National Union of Students have called a National Day of Action on August 19th in protest to the coalitions continued push to introduce the Abbott and Pyne Higher Education reforms first called in the 2014 budget and which have been twice defeated. Students will be protesting across the country on August 19th and are calling for NO deregulation of university fees, NO wait on newstart and increased funding for higher education! 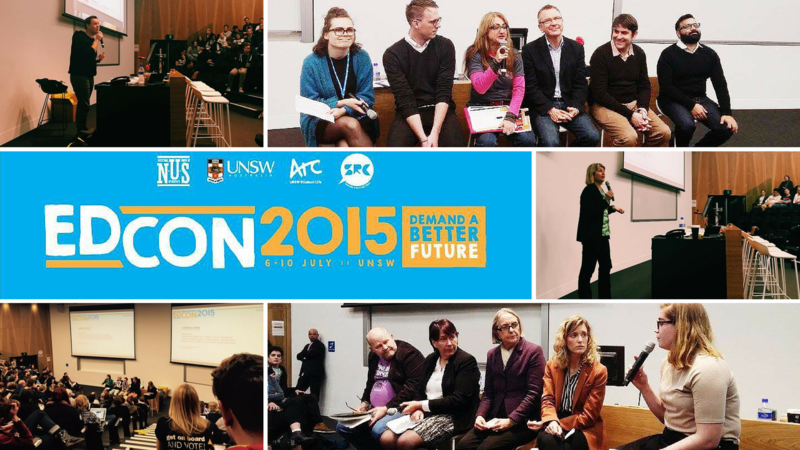 The National Union of Students held its annual Education Conference at UNSW in Sydney from 6th - 10th July. EdCon was a great success with almost 300 attendees! 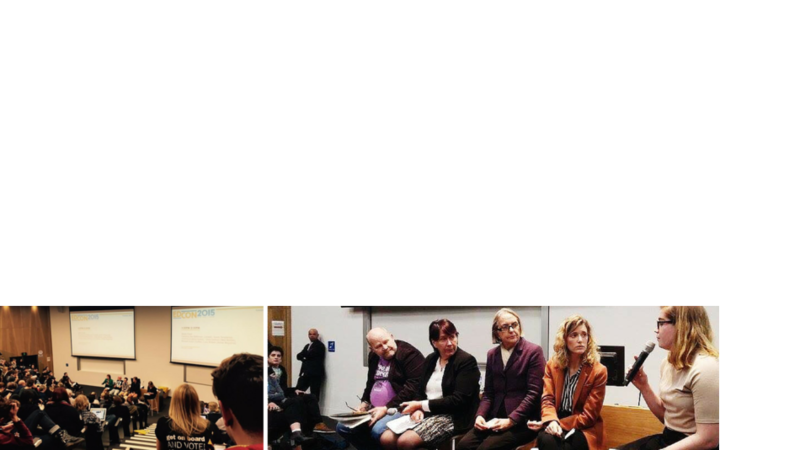 It was brilliant opportunity for interested students to come together, learn, and plan how we are going to get a better deal for students across Australia. The federal budget handed down on Tuesday the 12th of May is a continuation of the 2014 budget which would see a reckless and short sighted agenda for higher education in Australia. After being rejected by the senate in 2015 and again in 2015 the Governments 2014 budget measures to deregulate university fees, lower the government contribution per students and cut funding to research have be re-introduced. What Will Students Expect From This Budget? 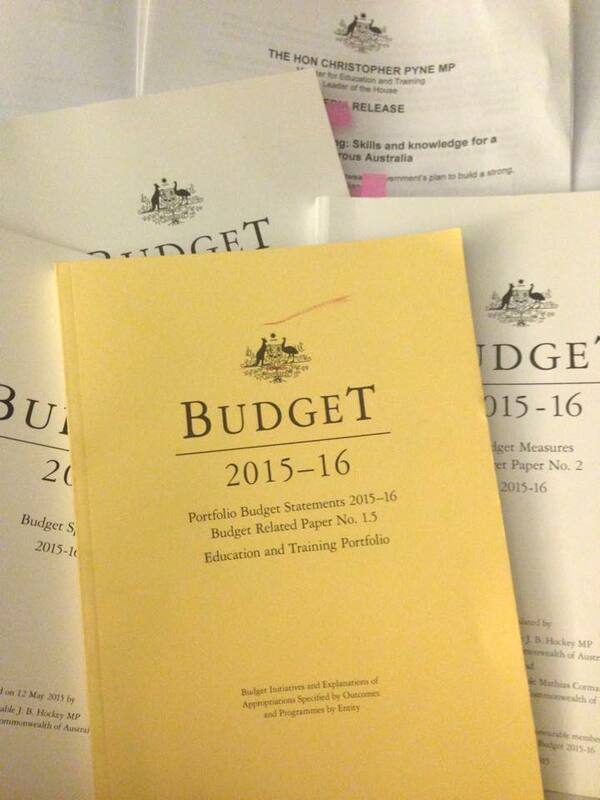 Students can expect to be abandoned by the governments 2015-16 federal budget. 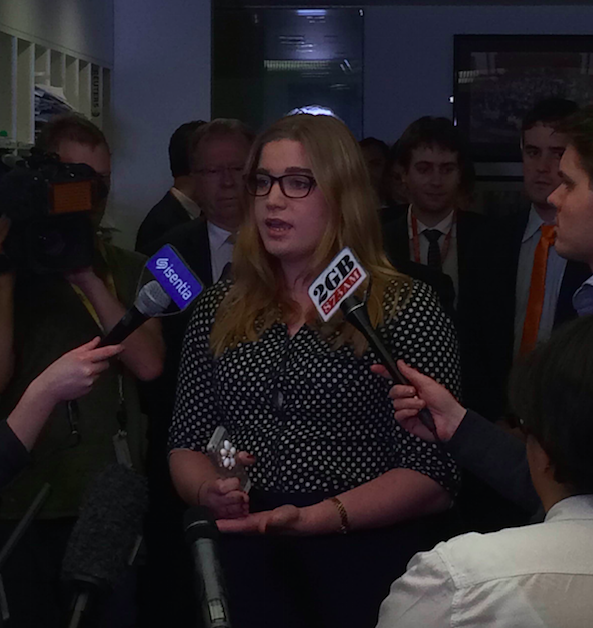 The Federal budget handed down tonight has abandoned universities and future generations of students. The government will be continuing with their agenda for full fee deregulation and in 20% cut to university funding. Along with a number of horrific welfare changes that will see young people under 25 without any income support. The federal budget released today is set to contain continued attacks on higher education from the government. Students have led an incredibly successful year long campaign since the release of the 2014 budget against 100k degrees and the Americanisation of our university system. The NUS Quality Survey is a survey to capture a snap shot of students experiences in the quality of their teaching and learning. 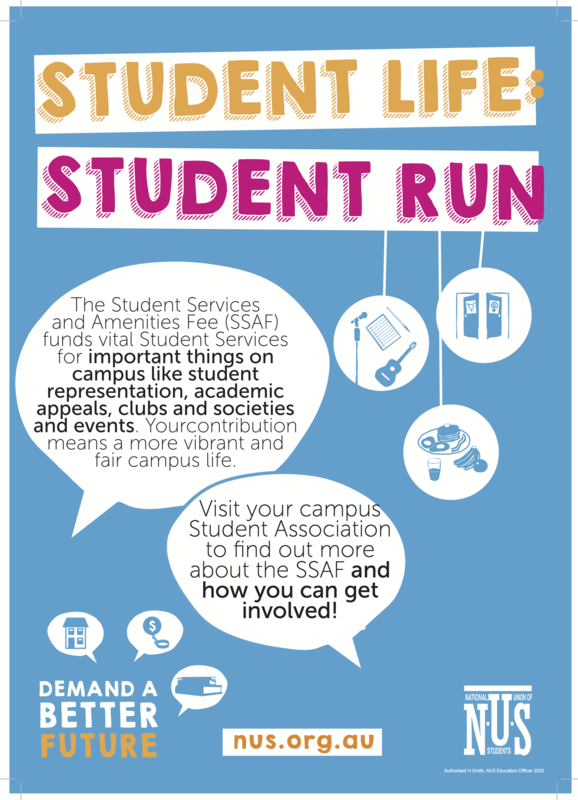 It is the only student run student experience survey in Australia. 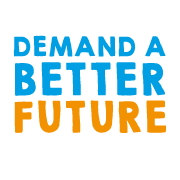 NUS National Education Conference: Demand a Better Future, will be held between the 6th - 10th July at the University of New South Wales. Sign Ups are on from now!